Reducing emissions and greenhouse gas emissions have become the major challenge for developing sustainable powertrain concepts. In addition to electrification strategies up to full battery electric vehicles, the conventional internal combustion engine can fulfil the CO2 and emission requirements if the fuel of the engine is carefully selected. In the paper, DME (Dimethyl ether) as a promising Diesel fuel replacement will be discussed with regard to mixture preparation, combustion and emission performance and compared against the conventional Diesel baseline. For the comparison, results of detailed simulations and experimental investigations (Spray chamber, single cylinder engine) will be discussed. 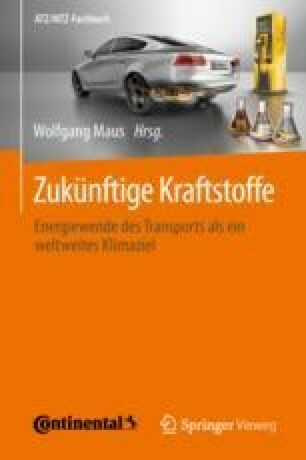 The authors would like to acknowledge the support of the German ministry for economy and energy (BMWi) for the financial funding of the xME-Diesel project as well as TÜV Rheinland and FVV for their administrative support. Further to that, the authors would like to thank their partners DENSO, IAV and the LVK from TU Munich as well as Oberon Fuels for DME fuel support. Simulations were performed with computing resources granted by RWTH Aachen University under project rwth0158.